I have not officially been diagnosed with this disease yet, but my 89 yr. old mother has it very severely, (for the past 20 yrs or so) as have each of her 3 sisters. She has very low vision but still manages to live an independent life. My youngest sister, 10 yrs younger than me has just been diagnosed with macular degeneration. 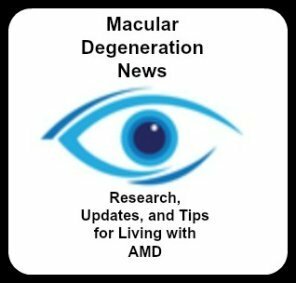 I am 65, and have macular drusen, which is associated, but not necessarily a prediction that I will get it. Most likely I will however, because of my high risk factor due to heredity. A few years ago, I suffered all the symptoms of Macular Degeneration in my left eye. A huge dark spot occurred in my central vision, I saw wavy lines and blurry images. This turned out to NOT be macular degeneration, but hemorrhaging scar tissue due to toxoplasmosis that I was infected with as a fetus in my mother's womb! Fortunately for me, I didn't have any symptoms of this until I was about 55 yrs. old. I have retinas full of scar tissue due to that fetal infection, and future eruptions could happen at any time. I have to be careful not to suffer any big jolts, and can't run or be too physically active that might cause further hemorrhaging. This ailment, on top of my risk for developing macular degeneration, feels like a double curse for the possibility of losing my sight. I earn my living as an artist and teacher in the needle arts field, and the thought of not being able to do what I love is too much to even think about. I hope never to retire from this work! Recently, I was in a specialty needlework store where a class was being conducted. I was surprised and thrilled to see one of the students, an 83 yr old woman, stitching in class with her visual aids right there, a camera magnifying her work onto a monitor. She was also wearing exceptionally fine(and fancy)magnifying lenses that she said came from Germany. These aids enabled her to continue her love of needlework and I was very happy to see that! So far, so good for myself. My brain has accommodated to the scar tissue abnormalities and I see just fine with both eyes open. I only see the dark spot and wavy lines if I close my right eye. I am diligent in taking the eye supplements, and getting timely checkups with my doctor. And, I'm hopeful that as new advances are made, if and when I do succumb to this, it won't be as bad for me as it has been for my dear mother. One thing I do hope to inherit from her however, is her unfailing, optimistic and upbeat attitude and courage. But I hope I never have to lose my sight to find out if I have those traits!